$207.99 This may be in stock for quick delivery; please call! System of a Down’s John Dolmayan teamed up with LP to make a drum pack with his favorite add-ons in his signature black nickel plated finish. John Dolmayan has had a passion for drums and percussion since he was very young. He is well known in the hard rock/metal scene for his incredible hi-hat to snare combinations and technical ability. His unique style and sound rhythmic skills are an inspiration to an entire generation of drummers. 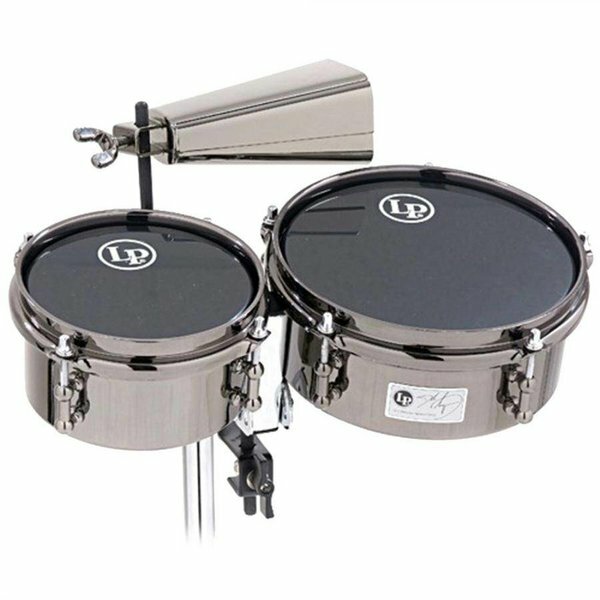 System of a Down’s John Dolmayan teamed up with LP to make a drum pack with his favorite add-ons in his signature black nickel plated finish.